People in the North Bay may notice a very low, very slow air tanker flying overhead Thursday afternoon. The rare site of a KC-10 in the skies above Santa Rosa is a military honor for one of the last surviving members of the Doolittle Raid. Retired Lt. Col. Frank Kappeler died at his Santa Rosa home last month, 68 years after the heroic Doolittle air raid that struck the Japanese Home Islands in 1942. He was 96 years old. Kappeler died on June 23rd, but was honored on July 1. 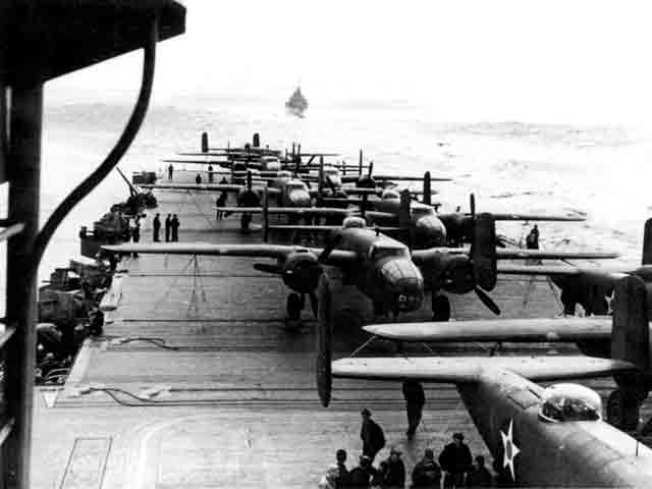 He was one of the last eight remaining Doolittle Raiders from World War II. Kappeler was an essential key navigator aboard the "Hari Carrier" B-52 when the engines failed forcing himself along with his fellow crew members to bail out over China. He credited Chinese locals for helping him evade capture by the Japanese. He is remembered for his courageous acts of bravery by undertaking the risky, top-secret mission and is praised for helping lift America's hopes during a time of despair. In honor of Keppeler, the aerial refueling tanker from Travis Air Force Base will fly over the Calvary Cemetery in Santa Rosa at 1:30 p.m. Though he never served at the base, the 349th Air Force Reserve Wing volunteered to perform the tribute. Kappeler, who served the rest of the War in the European theater, completed 53 combat missions, and retired in 1966 serving in the Air Corps as Lieutenant colonel. He is survived by his wife, Elizabeth Kappeler, daughter Francia Kappeler of Santa Rosa, brother Jack Kappeler of Bakersfield, and three grandchildren.